Whether you are contemplating filing for divorce or you have been served with a complaint for divorce by your spouse, the decisions that you make right now will certainly impact your future. At the Rees Law Firm, we recognize that your case is not just a case, it is your life. Our goal is to provide you with the knowledge and experience that you need to make the right decisions regarding your situation. Our Divorce attorneys in Jonesboro, AR will give you the legal power that you need in order to protect all of your interests before, during and after the divorce process. At Rees Law Firm, our clients always come first! In the state of Arkansas, a divorce cannot be finalized until one side or both have demonstrated that there is a justifiable reason or “fault” for terminating a divorce. As you can imagine, this further complicates the divorce process as neither party would want to be the reason for the marital dissolution. This is especially true when the two spouses who are seeking a dissolution of marriage have children. As your legal representative, we will ensure that your voice is heard and that your side of the story is presented to the court in the most compelling and favorable light. Our attorneys will be sensitive to your needs and desires particularly if you have children. What are the “Grounds for Divorce” in the State of Arkansas? A spouse was impotent at the time of marriage and continues to be impotent. Alcohol addiction or habitual drunkenness for one year or longer. A spouse has committed adultery during the marriage. A spouse “offers such indignities” to the other spouse that he or she can no long tolerate the situation. The husband and wife have lived apart and in separate households for eighteen (18) months consecutively or longer. When you retain the Rees Law Firm, you can be assured that a Jonesboro divorce attorney from our firm will advocate rigorously for your desired outcome. The Rees Law Firm also represents individuals in all other areas of Family Law such as Guardianships, Paternity and Orders of Protection. Call (870) 931-2100 for your free divorce case analysis with attorney Mark Rees. If you and your spouse have minor children, your divorce needs to address the needs and well-being of your children. The Rees Law Firm is sensitive to your needs and the emotional sensitivities that your children will endure during the divorce process. Our aim is to assist you in obtaining your desired outcome while also helping to reduce as much of the stress and suffering that your children could be exposed to. The Rees Law Firm has the dedication and experience necessary understand the unique circumstances in your case. Our legal professionals will address your concerns and explain the strategies that will best protect your interests. 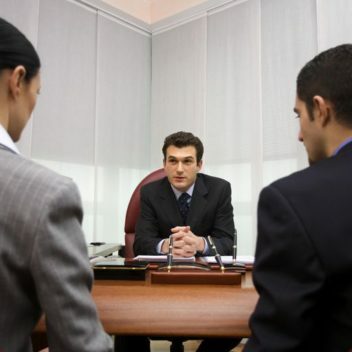 Our goal is to help you resolve and finalize your divorce as amicably and as expediently as possible. In many cases, while negotiating the terms of a divorce, one party may not be willing to work out a fair and equitable divorce agreement. In cases such as these, you will need an experienced and skilled trial attorney who will effectively argue your case before divorce court. When you retain our firm, you can be assured that you, your case and your Rees Law Firm attorney will be thoroughly prepared for divorce litigation. If you are ready to file for your divorce or if you have been served divorce papers, Rees Law Firm will ensure that you are prepared and protected throughout the divorce process. The Rees Law Firm will help you understand your legal options and help you navigate through the legal complexities, meet important deadlines and procure the necessary evidence to substantiate your claims or to prove fault against your spouse. If you have children and you want to obtain physical custody of your children, our legal team will help you document, demonstrate and persuade the court that physical custody with you is in the best interest of your children. The Rees Law Firm will update you on the progress of your case. Our legal team will explain how these new developments affect your case and the legal options afforded you. You can trust that our legal staff will be as accessible as possible to ease your concerns throughout this emotionally challenging time. Attorney Rees offers a free initial consultation by phone or at his Jonesboro law office. Simply call (870) 931-2100 for your free divorce case analysis with attorney Mark Rees to learn about your legal rights and the actions needed to protect those important legal rights.